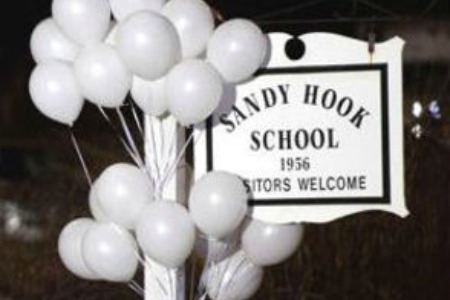 (CNN) — For the first time since the massacre at Sandy Hook Elementary School, Christine Wilford plans do something remarkable on Thursday that once was routine: drop her child off at school. As shots rang out, Richie’s teacher locked the door and huddled her students into the corner as the shooter roamed the hallways, wielding an AR-15 assault rifle and firing. But Richie apparently isn’t afraid and says he’s looking forward to seeing his friends, she said. They won’t be attending Sandy Hook Elementary, which police say remains part of an ongoing investigation into Adam Lanza, the gunman who also killed his mother before opening fire at the school. Newtown Public Schools Superintendent Janet Robinson said that part of the building had been transformed to resemble an elementary school. The school has also been outfitted with rugs and furniture similar to those at Sandy Hook to help ease the transition for students. Even the school’s pet turtle was relocated, Robinson said. Security measures have also been increased, with a new system incorporating more cameras and locks, according to Jim Agostine, superintendent of Monroe Public Schools.